Hattie “Elaine” Smith Blake, daughter of the late Clinton Henry Smith and Hattie Louise Hudson Smith departed this life on April 3, 2018 at home surrounded by her family at the blessed age of 87. Elaine was born on April 27, 1930 in Berlin, Maryland. She received her education in the Worcester County Public School System. She was married to the late George Eugene Blake who departed this life on March 8, 2013. Together they had five children, Girland, Orlando, Cornelius and Vanessa and a daughter Laverne Ann Blake who predeceased them. Elaine was a retired production worker from the Showell Poultry processing division in Showell, Maryland. She was also very domestic around the home. Her Christian education was received at an early age, where she was associated with various churches. Presently she was a member of the Zoar United Methodist Church in Selbyville,D under the leadership of Rev. Timothy A. Duffield, Sr. where she was affiliated with the many auxiliaries such as the Roy Moore and Senior Choir, Communion Stewardess, Revival and Joy Night sponsor, and Community Outreach Coordinator, just to name a few. To her family, “Mom Elaine” was the strength and glue that held us all together, she loved gardening and singing hymns but most importantly she loved God and shared her wisdom and his love to all who knew her. In addition to her parents, husband and daughter Laverne, she was preceded in death by seven siblings: Rob James Smith, Erving H. Smith, John A. Smith, Rosetta Smith-Hobbs, Frances V. Wilson, Luretta D. Purnell and Martha S. Tindley. Three sisters, Grace A. 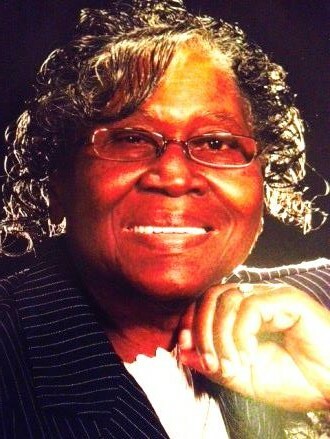 Gray of Salisbury, MD., Mildred A. Handy of Frankford, DE., Jerdeane C. Waters of Berlin, MD. Nine grandchildren: Nicole Smith, Gena Reed, Melody Taylor, Tina Blake, Inez Toppin, Anthony Blake, Alex Taylor, Justin Blake and Shaun Coston. She is also remembered by Sixteen Great-grandchildren and a host of nieces, nephews and extended family and friends. The Celebration of Life Service for Hattie “Elaine” Smith Blake will be on Saturday, April 7, 2018 at 12 PM, Zoar United Methodist Church, Selbyville, Delaware. Family and friends may call for viewing and visitation from 11:00 AM until 12:00 PM. The committal will immediately follow the Celebration of Life at Zoar Golden Acres Cemetery, Bishopville, Maryland. Pastor, Rev. Timothy Duffield,Sr. will be the officiant.